The Meet the Press of the Hollywood world was Hollywood Byline. The celebrities of motion pictures were placed before a panel of Hollywood reporters and other members of the press. Although many of the questions placed were surfacy, the radio public received a rare opportunity to hear about the bits and pieces of the entertainers, behind the scene, lives. The public personality was as entertaining behind the microphone as they were in front of the camera. In fact, the real value of the public figure came out through Hollywood Byline in the off-the-cuff remarks they shared with listening America. The "real" person is what the radio audience wanted to know and "Hollywood Byline" exposed the true character...and what characters they were. "Georgey Jessel" brought to the microphone what he brought to the stage and screen....humor, wit and a whole lot of laughter. The "toastmaster" of many a function was a well-known songwriter, comedian and performer. The world knew this about him. 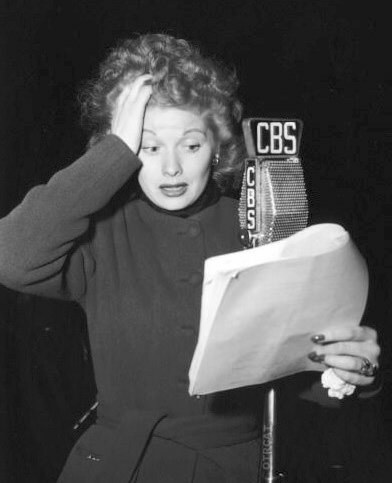 What they did not know until Hollywood Byline was that Georgey would not give advice about how to have a happy marriage because that was all too personal and each person had their own remedy for the success. Jessel was married 3 times by the time he was on the program...although twice to the same woman. People even learned how many suits the noted patron of the arts owned. Do they know that about you? keep listening and you will hear more about the intrepid purveyor of jocularity. Even Al Jolson couldn't say it like that. The star of My Favorite Husband and "Fancy Pants" was placed before the media panel of four. The opening statement by Bob Thomas could have been taken from a toastmasters special praising the "courage" of the red-headed comedian. Her courage was from having left the world of MGM and to go on her own as a freelancer. The accolades kept coming as a litany of her works, husband and projects were laid-out for the American public. Her work with Bob Hope was a big topic of conversation and Ball hoped she would get more work with the balding funnyman. There is more to say about Miss Ball, however, it is best left up to her to share her own life. The leading man, David Niven, was placed under the microscope of an array of panel media that wanted to know the world about the "pony-man". 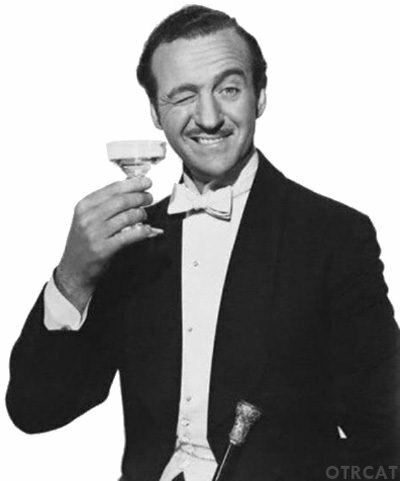 Niven was one that was as much at home in a smoking jacket as he was in a pull-over at the race track. The adventurer shared about a story of being "shanghaied" aboard a ship from Cuba and the escapade that followed. Mr Niven continued to expound of his ship to ship to shore to ship (don't ask) travel, just to get to California. All of this was simply trying to get back to England. The rest has to be listened to to be believed. Hollywood Byline hosted by Hank Weaver, played a cavalcade of talent that tantalized and transfixed the American radio public. It was a program that was created and conceived under its own merits and never failed to draw-in the ears tuned in. The program did for the country what it needed to...reach our lives. See also: People You'd Like To Know. Be the first to comment on "Hollywood Byline"